An all-star group of entertainment and sustainability industry pioneers come together to debate the role content plays in focusing world attention on global warming. Writer James Cary’s comedy hits include Bluestone 42 and Miranda; Rebecca Welsh is a producer of Strictly Come Dancing and Come Dine With Me. 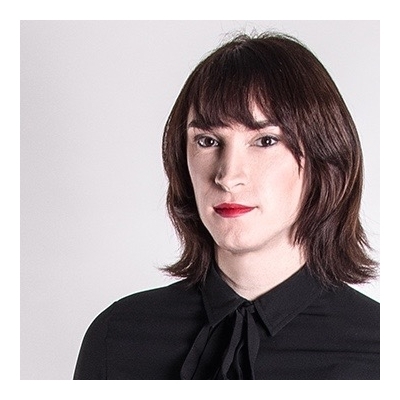 Juliet Davenport is CEO of Good Energy and Catherine Davies is the Development Director at Shire Oak Films. 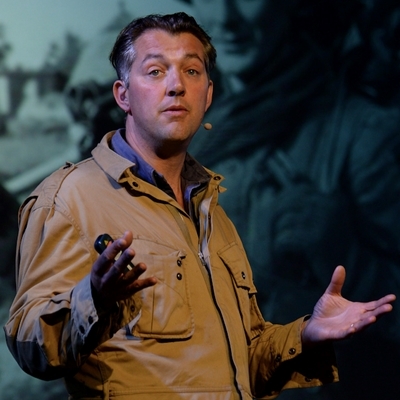 The award-winning investigative journalist takes aim at the official versions of UK history and the British establishment’s culture of secrecy. 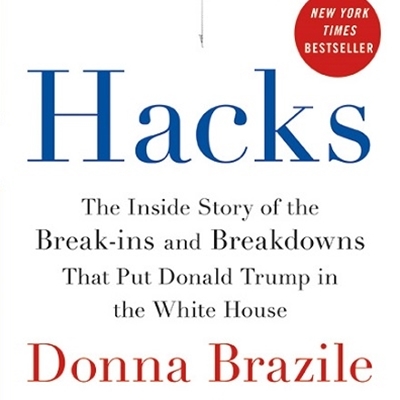 He examines key episodes – including the long denial of the existence of Bletchley Park, the time of talking to terrorists and the modern surveillance state and the convenient loopholes in the Freedom of Information Act. Seven-year-old Aarna launches her first book Fluffy the Cat at the Storymoja Hay Festival. Eleven-year-old Joseph Bokea is working on his fantasy fiction novel. Their parents share their experiences of finding and nurturing talent in their child. On 4 June 1940, over 338,000 British, French and Belgian troops were evacuated from the beaches and harbour at Dunkirk. 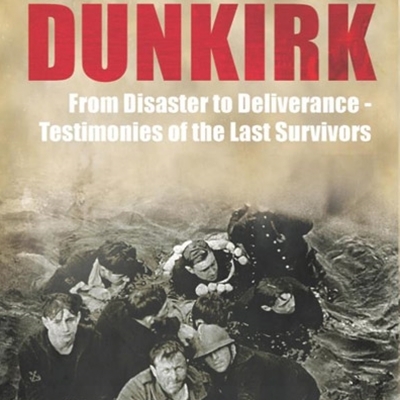 Drawing on new interviews with Dunkirk veterans, letters and recollections from Wrens, civilian sailors and new recruits, the bestselling author of The Secret Life of Bletchley Park details the wider story around this ‘absurd English epic’. The dismantling of the Berlin Wall in 1989 and the spread of perestroika throughout the former Soviet bloc was a sea change in world history, and two years later resulted in the dissolution of the Soviet Union. 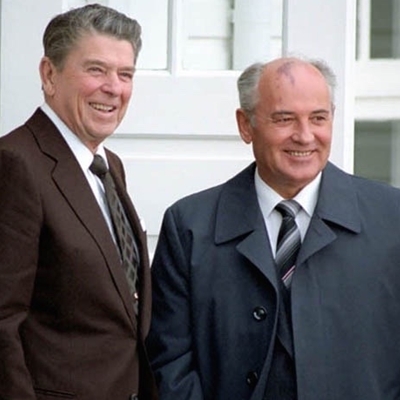 The acclaimed Russian historian examines precisely how that change came about and analyses the role of the leaders who held power: Gorbachev and Reagan, Walesa, Havel, and the Pope. ¿A qué libertades estaría dispuesto a renunciar a cambio de una mayor seguridad? Si se convirtiera en el líder de tu país, ¿qué es lo primero que solucionaría? Environmentalists are good at scare stories; but is a diet of doom and gloom turning people off? 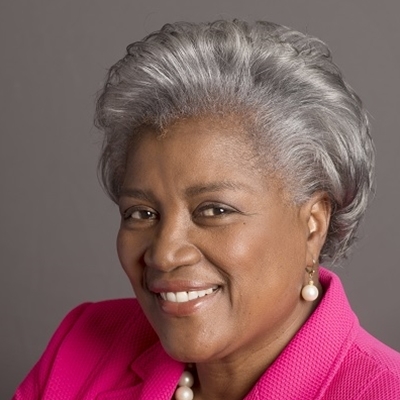 Would it be better to inspire people with positive news? Or would that fail to win headlines in a media that still follows the old adage, ‘If it bleeds, it leads’? Pilita Clark, Financial Times Environment Correspondent, Sean Dagan Wood, Editor of Positive News and Futurologist Mark Stevenson talk to Forum for the Future's Martin Wright. ¿Puede la corrupción acabar con un país? ¿Cómo socavan a las naciones el delito organizado, el narcotráfico y la impunidad? Carlos Tablante (Venezuela), antiguo presidente de la Comisión Nacional Antidrogas y autor del libro Estado delincuente; Jaime Abello, director de la FNPI; y Anabel Hernández, autora de Los señores del narco, en conversación con Sergio Dahbar. Con el apoyo de PEN International. Un evento ¡Libera la Palabra! Le sociologue et journaliste français présente son livre Mainstream: Enquête sur la guerre globale de la culture et des médias, qui analyse l’état dans le monde de la culture de divertissement et son importance en termes de compréhension de la situation géopolitique actuelle. Une analyse du présent qui met l’accent sur des types plus subtils du pouvoir. The first authoritative history of the Submarine Service, the most secretive and mysterious of Britain’s armed forces, from the end of the Second World War to the present. As we come to decide whether to renew the nuclear deterrent, Hennessy and Jinks analyse the development of Britain’s submarine fleet, its capabilities, its weapons, its infrastructure, its operations and, above all – from the testimony of many submariners and the first-hand witness of the authors – what life is like on board for the denizens of the silent deep. 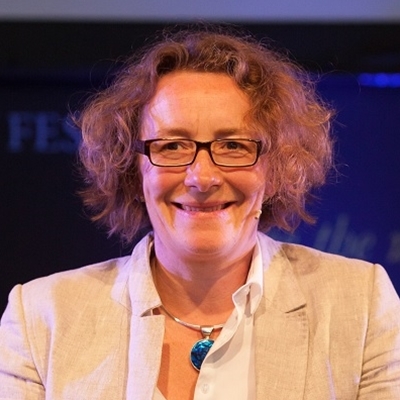 From brain imaging and epigenetics to galaxy formation and astronomy, three Royal Society Research Fellows discuss their work at the forefront of science with author and broadcaster Gabrielle Walker. 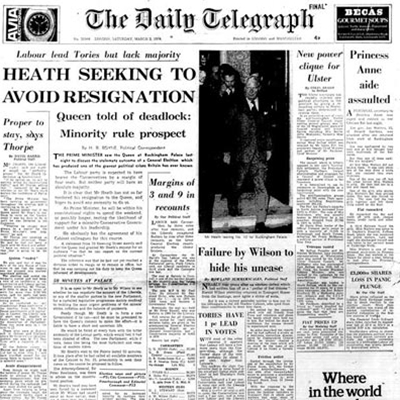 Hosted by senior Telegraph journalists, stories from 25 May at key historical moments over the past 150 years are brought to life using the paper’s unique archive. From World War One and D-Day to the rise of the Suffragettes and the birth of the nuclear age; not to mention fashion through the decades and legendary stars of sport. Here is a past world documented in fascinating and revealing detail by daily reporting. The academic presents his annotated edition of FR Leavis’ famous critique of CP Snow’s theory of the ‘two cultures’ of arts and sciences. Collini describes what was at stake in the dispute, reappraises its literary tactics and evaluates the purpose of Leavis’ brand of cultural criticism. 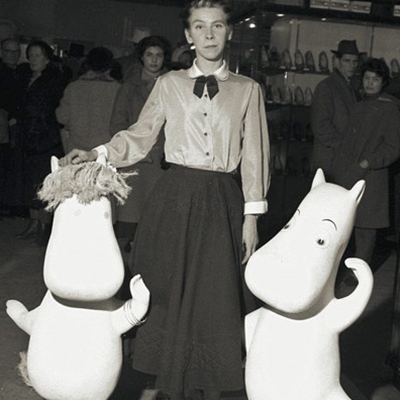 Tove Jansson’s niece Sophia Jansson and Moomin superfan Philip Ardagh join Julia Eccleshare for a celebratory event on Tove’s centenary exploring the lasting appeal of the Moomins. Join in story-time and craft activities with Belle & Boo, the bob-haired little girl and her adorable bunny friend. Why the world’s 50 poorest countries are failing and what can be done about it. In the second volume of his acclaimed new history of the Second World War, Holland examines the momentous turning points of 1941–1943: Hitler’s invasion of Russia; America’s entry into the conflict; the devastating Thousand Bomber Raids over Germany; the long struggle in the deserts of North Africa and the defeat of the U-boats in the crucial Battle of the Atlantic. As his 50th birthday dawned, Peter Dunne set out to leave a trail of metaphorical breadcrumbs for his three children, so that if they ever needed to know what their father might have had to say they would have him to hand: from compromise to compassion, and democracy to sacrifice, Dunne explores the social mores and morality of our time and tries to answer the eternal questions that line the path to peace of mind. He talks to Sarah Crown. 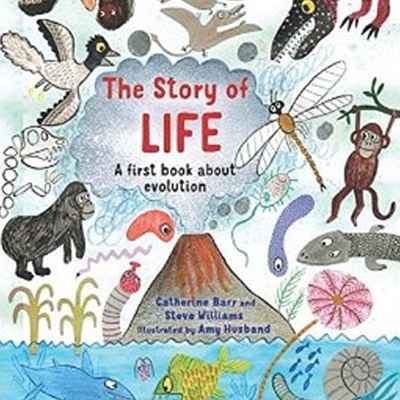 Award-winning illustrator Amy Husband and local authors Catherine Barr and Steve Williams will take children on the extraordinary journey of evolution. You will draw, cut and colour all kinds of creatures to create your own timeline of life on Earth. Channelling our twin urges to explore and understand, geographers uncover the hidden connections of human existence, from infant mortality in inner cities to the decision-makers who fly overhead in executive jets. Geography is a science that tackles all the biggest issues that face us today, from globalisation to equality, from sustainability to population growth, from climate change to advancing technology. Herbert Rowse Armstrong was accused of poisoning his wife with arsenic, and after a sensational trial was found guilty and executed in 1922, the only solicitor to be hanged, In the light of Armstrongs unceasing protestations of innocence and the highly circumstantial evidence that suggest a questionable judgement, Hay solicitor Martin Beales, reopens the files and makes the case for Armstrong's innocence. He is joined by robin Odell, author of Landmarks in 20th Century Murder, whose book about Armstrong inspired the recent television film Dandelion Dead. The event is chaired by Mavis Nicholson. Beales book, Dead Not Buried is launched at the Festival, but will be available only through Pembertons Bookshop in Hay, from 12th May.